After a Cocktail Dinatoire with the delegates, and a scary presentation of countries and families that are already sinking away in ocean water (West Yorkshire/UK, Bangladesh, Kiribaty and Fiji, the islands of Panama, Miami and many more…) I ran into a wake of thousands of people for the Bataclan Theatre massacre, which turned out to be only 150 meters from my hotel. The solidarity was enormous. “Don’t give in to fear”, “We love you” and all kind of other encouragements with mountains of flowers and candles. 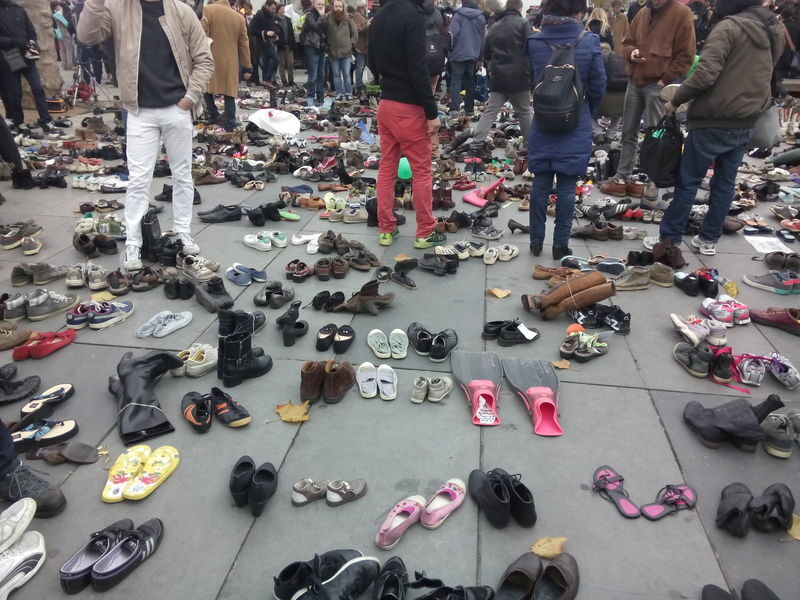 Sunday, I ended up on the Place de la République, which was covered with hundreds of thousands of shoes (‘our shoes will march for us, if we are not allowed’). These shoes were then spread over a few kilometres up to le Nation. When my renewable energy-invested colleague in France, Aurélie Sol (what’s in a name?) joined, there were hundreds of families, elderly and children peacefully joining on the square. There were posters, buttons, leaflets, giant puppet players, musicians, clowns and other idiots for the climate (like us). 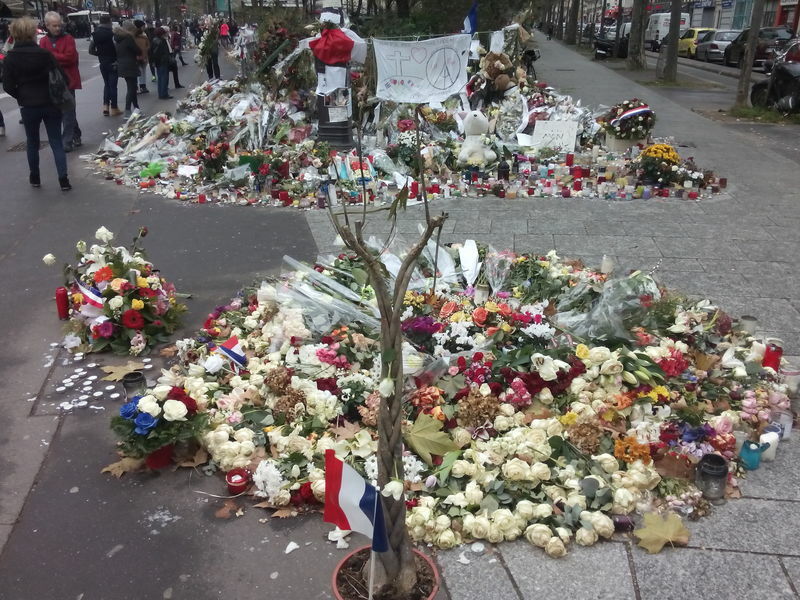 As we sat down in café République, security troops marched by and all streets around the square were quickly sealed off by combat trucks and thousands of troopers in full combat dress. Soon, clouds of teargas filled the square. We had to run off and flee through the subway. End of our meeting. 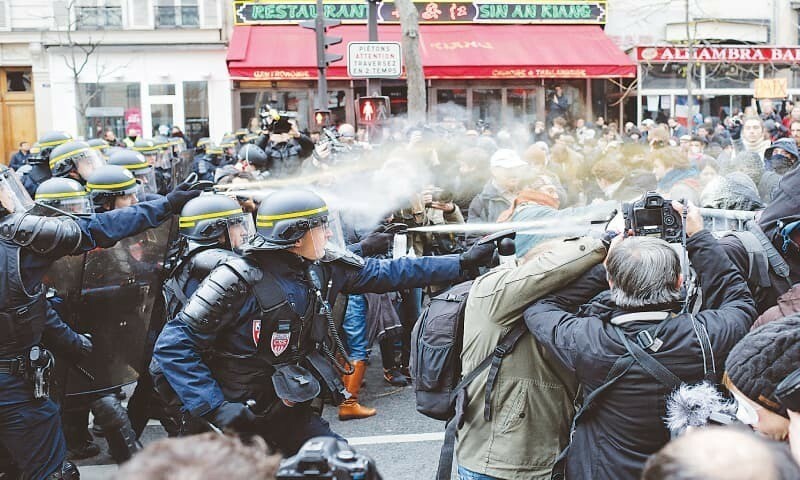 End of the COP21 encouragement effort.